(Admin only) Set a specific duration in which users will have to reset their password. 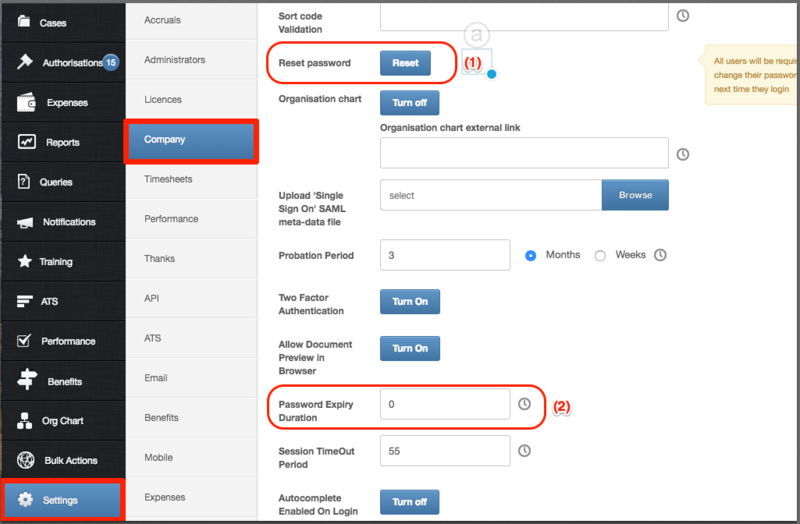 As well as having the ability to automatically set all users to be required to change their password, you can also set up a password expiry duration. This is to prompt your employees to update their log in credentials often for to ensure their accounts are as secure as possible. Option 1: Clicking 'Reset' will ensure that all users will be required to reset their password the next time they log in. Option 2: Enter the amount of days after which employees will have to reset their password.